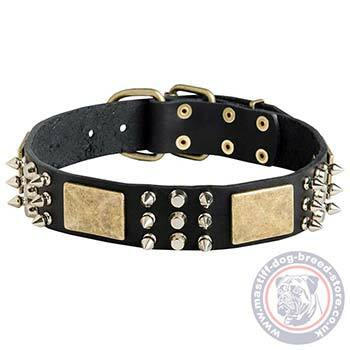 Designer Dog Collars for Large Dogs - Buy Dog Collars of the Best Quality and Style! 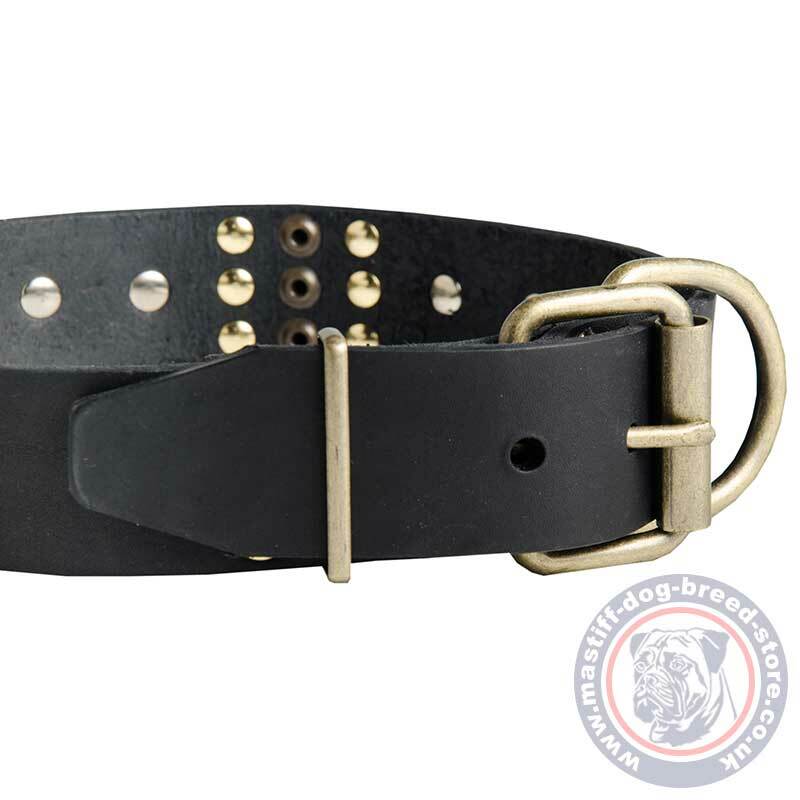 Designer dog collars for large dogs perfect look and comfort are reliably handcrafted by specialists. If you need a strogn and relaible dog accessory for daily walking of your strong mastiff - it is exactly what you need. Strong designer dog collars are made of thick and soft genuine leather, thats is well-done, polished and waxed for long-term reliable use. 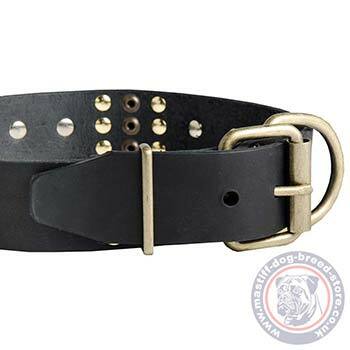 If you want a really relaible tool for your Mastiff, buy dog collars for large dogs, equipped with strong buckle and cast D-ring. Specify neck size and we will make collar fit at the central hole.